For additional information about this book, visit the website www.SingingTheSongofLife.com. 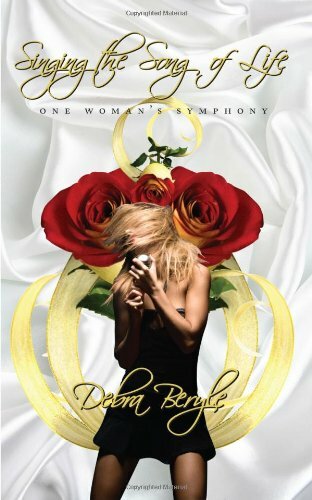 You’ll be captivated as you read how the author, known affectionately as Dori, bites into the apple of life with deep passion, allowing its juices to run down her chin. Her confidence, her intelligence, and her wisdom will inspire you as much as her intimate relationships will surprise you. In this dramatic memoir, the author uses popular songs to frame each chapter of her life and each chapter of the book. Every song sets the stage for the author to dance her dreams and shed her tears, all while coping with a terminal thing called life. • Friendship—the author’s best friend marries her second ex-husband and the results from their ultimate test of trust are startling! • And much more, all woven together with touches of humor, Yiddish slang, and, of course, her favorite songs. Debra Beryle is a dynamic and successful businesswoman, whose intuition and foresight helped her found and run numerous corporations. Her ambition, down-to-earth style and infectious enthusiasm have been the major drive in all of her successes. In her struggle to live by self-worth, instead of net-worth, she found believing in herself allowed her to handle life's failures with compassion and understanding. Ms. Beryle lives in West Bloomfield, Michigan.